Wherever I go, as you may have noticed from my posts, I prefer visiting important historical sites and museums. I have not listed all shopping areas, as I just visited the main places. 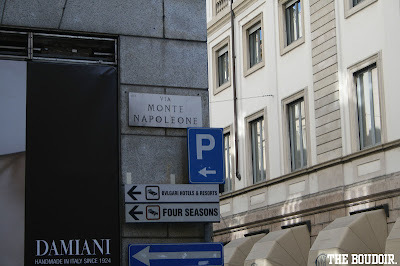 Via Manzoni, a street that extends from Piazza del Duomo to Via della Spiga, another fashion street. Armani superstore is at the heart of Via Manzoni, and facing the store, is one of Milan's most prestigious streets, the fashionable Via Montenapoleone. Stores on the street include Yves Saint Laurent, Louis Vuitton, Guiseppe Zanotti, Dior, Sergio Rossi, among others. Via Sant' Andrea, is another extremely fashionable street, located in the mid of Via Montenapoleone. It has Hermes, Chanel, Gianfranco Ferre, Moschino, etc. 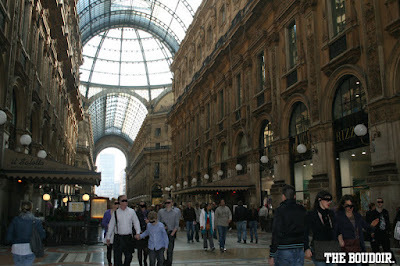 Visit the famous Galleria Vittorio Emanuelle, which has a few good shops and lots of cafes and restaurants. You will find Prada and Louis Vuitton there. Also the Gucci Cafe. 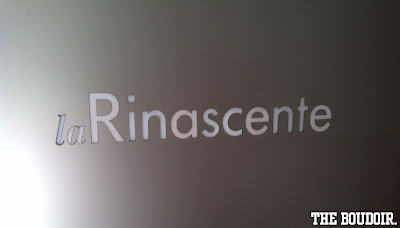 Right next door is La Rinascente, is the best department store in Milan, it reminds me a bit of Harvey Nichols. Its located exactly on Piazza Del Duomo. The store has the best luxury brands. Don't forget to pass by their gourmet mart upstairs, where the restaurants are. And visit the downstairs section, for pots, dishes, stationary goods, and home accessories. Keep on walking that same street, keeping Duomo Cathedral behing you, there will be more cafes and shopping. And check out all the smaller streets for more boutiques including the Abercombie & Fitch. I'm not a fan of outlets, but my group went to visit Foxtown and Seravalle Outlets. Make sure to bring your passports with you if you go to Foxtown, you have to cross the border of Italy and enter Switzerland. Out of the two outlets, Serravalle Outlet is the biggest. For more shopping info check this website. OMG! That's a first! So la rinascente is that old? !